Petswelcome.com / Articles / Looking for the local dog park? There’s an app for that! Looking for the local dog park? There’s an app for that! If you have a smartphone like an iPhone then you probably have apps that help you find places to eat, places to go, and games. There are also several apps for pet owners. Some apps are for storing medical, some are designed to help find nearby dog friendly places, and some are for training. 1. 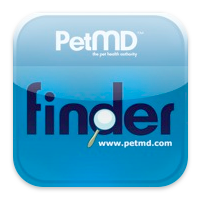 PetMD has a free app that allows you to find pet services around you. You can search by zip code or use your phone’s GPS. It has listings of the nearest dog parks, emergency clinics, dog sitters, and groomers. If you’re new to a city this is a handy application. 2. Petscare is a great free application for storing essential medical information for your pet. It allows you to add any number of pets and houses information about vaccines, microchip serial numbers, and weight. This little application would come in handy in the event of an emergency. 3. Dog Park by Dogster.com is an app for finding the nearest dog park and also connects you with dogs in your area. You can create a profile for you canine companion and meet and chat with other people who also own dogs. You can set up play dates, text, and share photos. 4. DogiDuty allows you to track your dog’s health by creating a report that is emailed to you after each walk. For owners who have dogs that may have special needs or medical issues, this application comes in handy to help monitor how often their dog has urinated or defecated, and fed. This app could come in handy for dog walkers and their clients. The clients would know when the dog walker came by and if their were any problems or things to note. 5. iPet Alert is an app that alert others as soon as you realize that your pet is missing. It issues an alert within a radius of where you are and also alerts you if a pet is missing within your vicinity. It sends alerts to local vets and you can also create a flyer with your pet’s information and picture. You can download the app for free and try it out for 15 days. After that it is a yearly fee of $12 dollars to be a registered member. Whether you are home or on vacation these apps all serve to keep you and your pet happy, healthy, and safe!